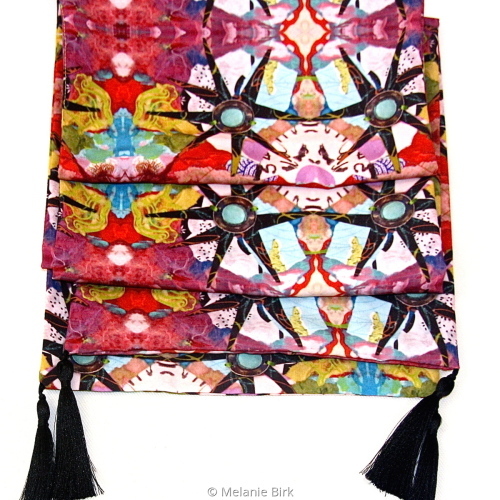 Reversible silk blend wrap based on the artwork of Melanie Birk. 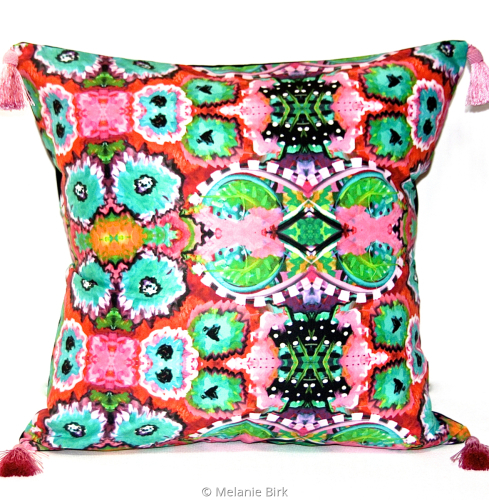 Go to www.bluethistlearts.com for more colors and patterns. Reversible, silk-blend wrap with tassels. Based on original art by Melanie Birk. Silk blend scarf based on original collage by Melanie Birk. Printed both sides, black tassels. Silk blend scarf based on Melanie Birk's original painting. 12X72. Image on both sides. 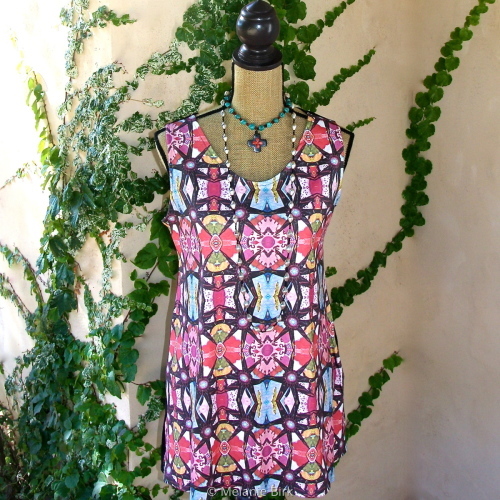 Star Flower Tunic. Visit www.bluethistlearts.com to purchase in your size and pattern.